Teenager Jesse received the second dolphin adventure trip provided by the Hillary Fund. 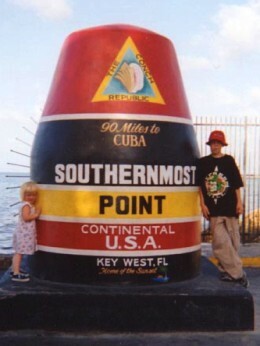 Jesse and his family traveled from Pennsylvania to Key West, FL in July 2000. His trip included a boat ride with Capt. Sheri Sullenger, who leads chartered adventures to see dolphins in their natural environment. I want to thank you for the trip to Key West. It was great to see the dolphins and snorkeling was fun to do. It was a pretty place.